Marsha Pearce holds an undergraduate degree in Visual Art and a PhD in Cultural Studies from the University of the West Indies (UWI), St. Augustine Campus, Trinidad and Tobago, where she teaches in the Department of Creative and Festival Arts. She works at the intersection of visual culture, communication studies and audience/reception studies with a focus on Caribbean identities and the poetics and politics of representation. Her research interests lie in the fields of contemporary art, mass media, museum studies and practice and conceptualisations of space and place. 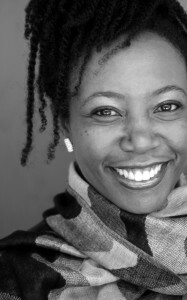 Pearce is the 2006 Rhodes Trust Rex Nettleford Cultural Studies Fellow. Her writings appear in several peer-reviewed, academic publications and in platforms that target a general readership. She is the Senior Editor and Art Writer for ARC Caribbean Art and Culture Magazine and is a member of a number of professional networks including the International Association of Art Critics (AICA) – Southern Caribbean Section and the Commonwealth Association of Museums.